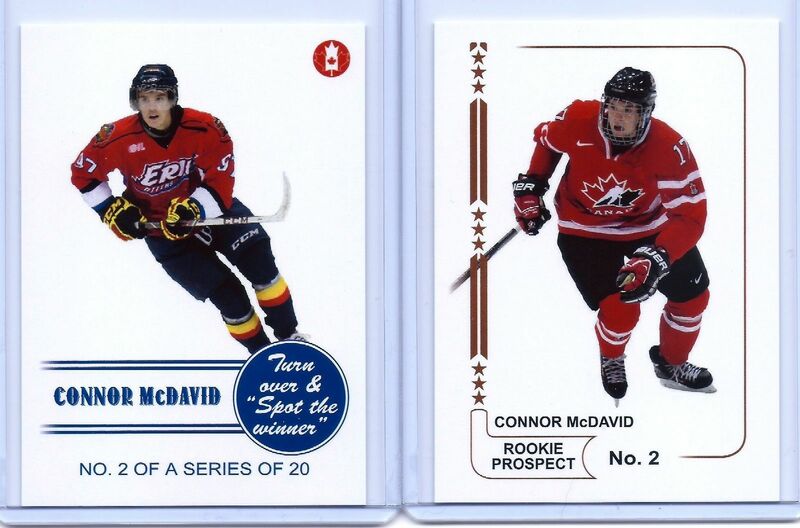 Home » Dave's Big League Card Shop » CONNOR McDAVID 2014 TEAM CANADA "1ST EVER PRINTED" 2 CARD ROOKIE CARD LOT!!! CONNOR McDAVID 2014 TEAM CANADA "1ST EVER PRINTED" 2 CARD ROOKIE CARD LOT!!! Top-Rated SellerBigLeagueCardShop consistently earns high ratings from buyers thanks to fast shipping and excellent service. Premium SellerBigLeagueCardShop has been a Gold member on Bonanza since September 23, 2017.